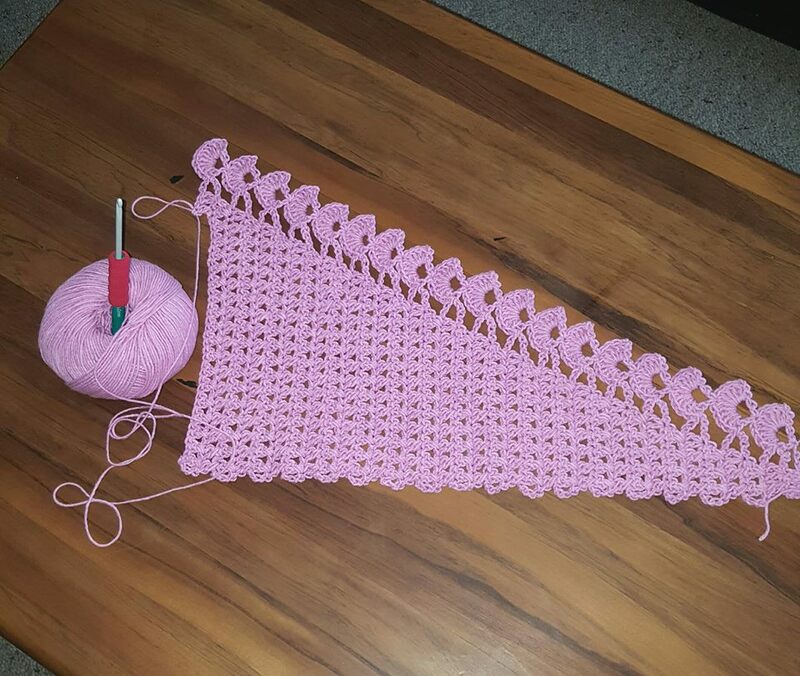 Here I have been working on a Baktus Scarf, following a YouTube video by Oana on 'Oana's Crochet Channel'. I had to watch it several times as english is her second language but I got there in the end. I was very pleased with the result. 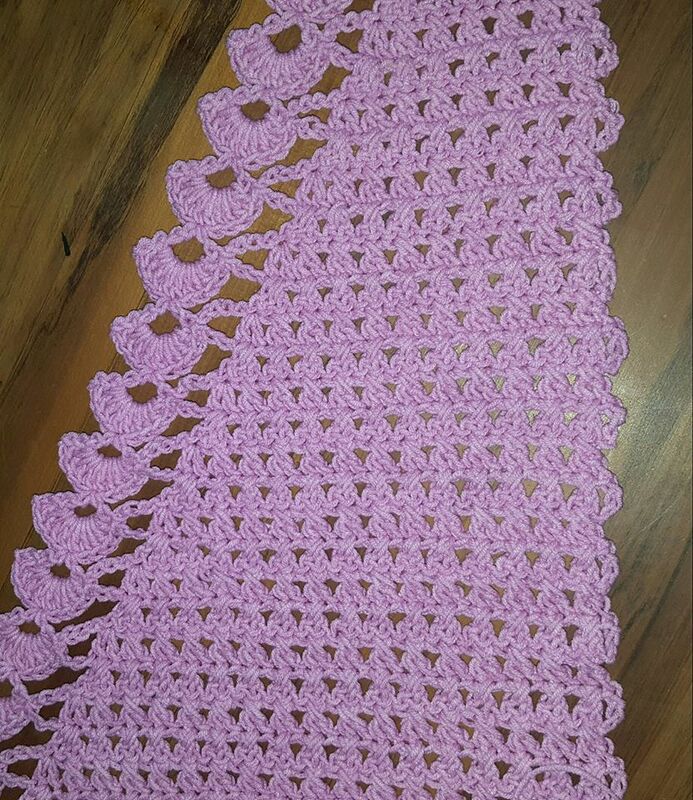 I only used some cotton yarn left over from another project but was very pleased with the result. 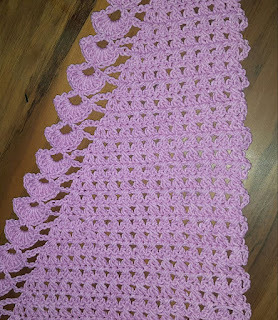 I loved how the edging was worked in with the pattern and not added after completion. Just makes sense doesn't it? Oana has many tutorials but she doesn't give a written pattern; so you have to follow her videos step by step. The main body stitch is the 'Crossed Double Crochet Stitch'. Very easy to achieve and looks very effective. I intend to go ahead and purchase some suitable yarn now that I am familiar with the pattern. And as it is winter here in NZ it will be much appreciated. This is a link to her channel. I strongly suggest you check her out.